A punitive taxation system is compromising road safety by keeping older cars on the road and putting advanced safety systems out of reach of many drivers. That is the view of many in the Irish motor industry and they are calling for such safety features to be tax exempt. This battle isn’t new – it’s something it has been pursuing for years. Australian research suggests that if each motorist upgraded their car to the safest model in its class ‘road deaths and injuries could be reduced by up to a third’. However, by 2015 the average car on the road in Ireland will be ten years old. New cars here attract Vehicle Registration Tax of between 14 and 36 per cent, depending on emissions. All safety features, from airbags to electronic stability control, are subject to this tax as it’s calculated on the open market selling price of the car. This rate is also applied to any optional extras, regardless of whether they’re luxuries or safety items. There’s also Vat at 23 per cent. Euro NCAP ensures basic safety standards across Europe and manufacturers are keen to attain a five star rating. However, while Irish drivers expect a high level of standard safety features, they’re slow to specify advanced optional safety systems. These include city stop, adaptive cruise control, blind spot monitor, lane changing alert and drowsiness alert. City stop is a system which foresees a low speed collision in city traffic and automatically applies the brakes to prevent the fender-bender. 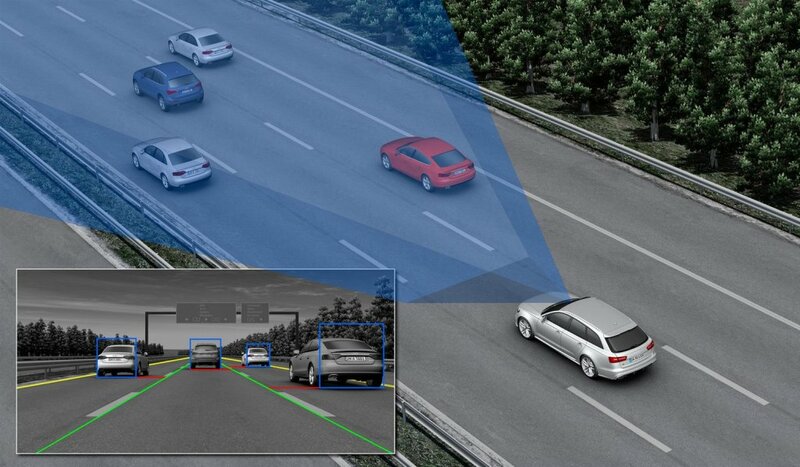 Adaptive cruise control keeps pace with the car in front and automatically slows the car down when the car ahead does. 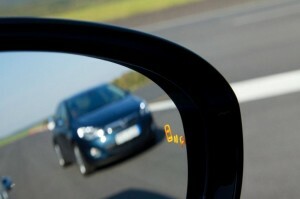 Blind spot monitor and lane departure warning are both aimed at motorway drivers. As it suggests, blind spot monitor alerts a driver intending to change lane to another vehicle in their blind spot thus preventing a high speed collision. Similarly, lane departure warning is activated if a driver crosses out of their lane without indicating, again aimed at preventing a high speed crash. Drowsiness alert monitors driving and tells the driver to take a break if it detects driving becoming erratic. The Society of the Irish Motor Industry says that if the Government wants to improve the availability of better safety features ‘it would seem counterproductive to include them as part of VRT’. SIMI spokeswoman Suzanne Sheridan says that uptake of these options is low in Ireland – particularly in the small, or city car sector. This belief is echoed by the Irish arms of Ford, Volkswagen and Volvo. Volkswagen Group Ireland spokesman Paddy Comyn said there is ‘minimal uptake’ of optional safety features across its fleet, which includes VW, Audi, Skoda and Seat. He said that Irish drivers opt to spend additional money on ‘cosmetic items such as sunroofs or [alloy] wheels’. He added: ‘We don’t have exact figures because generally our cars come with as high a level of safety specification as possible – but where there is an issue is if there are additional innovative safety features because VRT makes them prohibitive in a lot of cases. He added: ‘At the most basic end this means that the customer pays almost half as much again for the price of the safety item and at worst 100 per cent more. Ford Ireland managing director, Eddie Murphy, looking at the overall cost of a car, puts it even more starkly. He said that a car costing €20,000 to the consumer could have approximately €7,000 worth of tax attached. 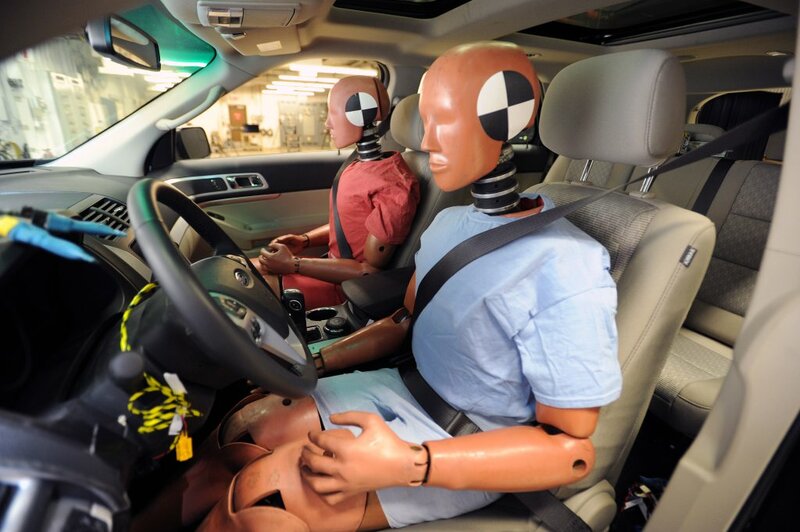 He puts the number of Ford drivers opting for extra safety equipment as low as five per cent. Meanwhile, managing director of Volvo Ireland, Adrian Yeates said that while the Government has ‘achieved relative success’ with its road safety policies on education and enforcement, ‘not enough has been done to deliver the benefits from the other “E”, Engineering’. He said that taxation policy adopted by Government ‘directly influences people’s behaviour’, as evidenced by the switch from petrol to diesel cars. He added that safety features are expensive to develop, build and maintain and when tax is added ‘it often means that important passive equipment is not available to the whole population’. A spokeswoman for the Road Safety Authority of Ireland said it has made a number of pre-budget submissions ‘seeking reduction in the Vat rate on safety critical features for road safety’. She added that the Road Safety Strategy 2013-2020 contains a pledge to ‘examine the feasibility of removing or reducing the rate of VAT and/or VRT on safety related equipment and/or technology’. That was due for completion earlier this year. However, results have yet to be released. The Department of Finance did not respond to queries.